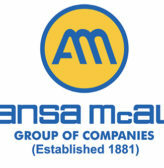 ANSA McAL Limited has completed the buyout of Trinidad Aggregate Products (TAP) with an offer of $54.9 million which was accepted by the shareholders on July 18. 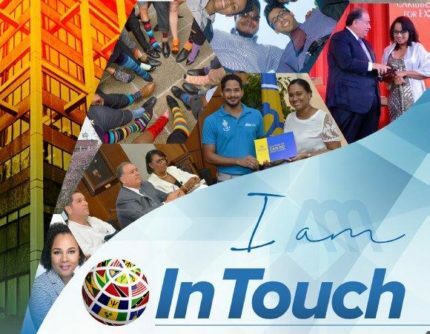 Frances Bain-Cumberbatch, Group Head of Legal/Corporate Secretary, said in a statement yesterday that on May 23, a binding offer was issued to shareholders of TAP to acquire 100 per cent of the total shareholding in the company at a total price of $77,100,000. This offer expired on July 4. 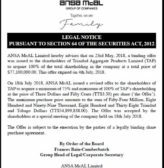 “On July 18, 2018, ANSA McAL issued a revised offer to the shareholders of TAP to acquire a minimum of 75% per cent and maximum of 100 per cent of TAP’s shareholding at the price of $3.50 per share.” the statement said. The maximum purchase price amounts to the sum of $54,899,838. 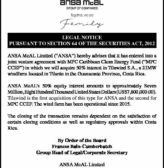 The offer was accepted by the shareholders at a special meeting of the company on July 18. 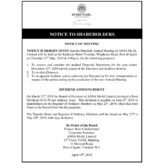 Bain-Cumberbatch said the offer is subject to the execution by the parties of a legally binding share purchase agreement.